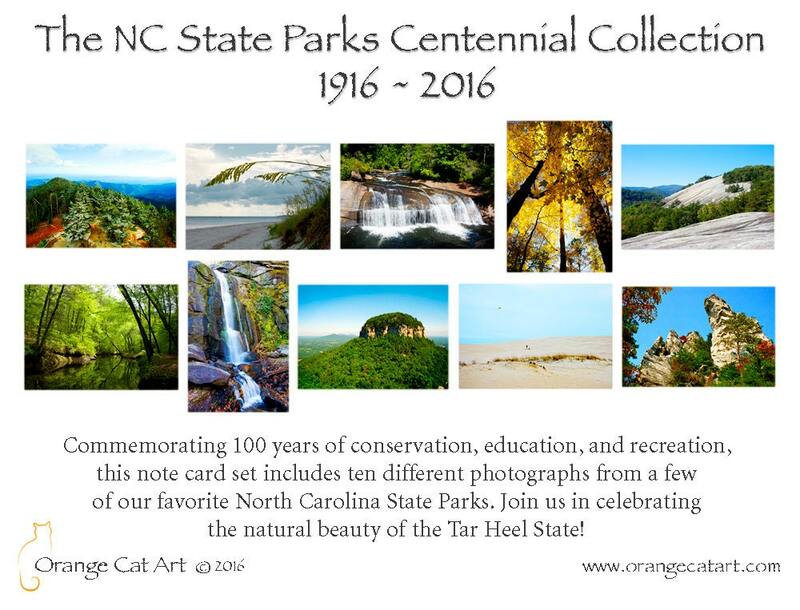 Commemorating 100 years of conservation, education, and recreation, this note card set includes ten different photographs from a few of our favorite North Carolina State Parks - from Jockey's Ridge to Mount Mitchell. 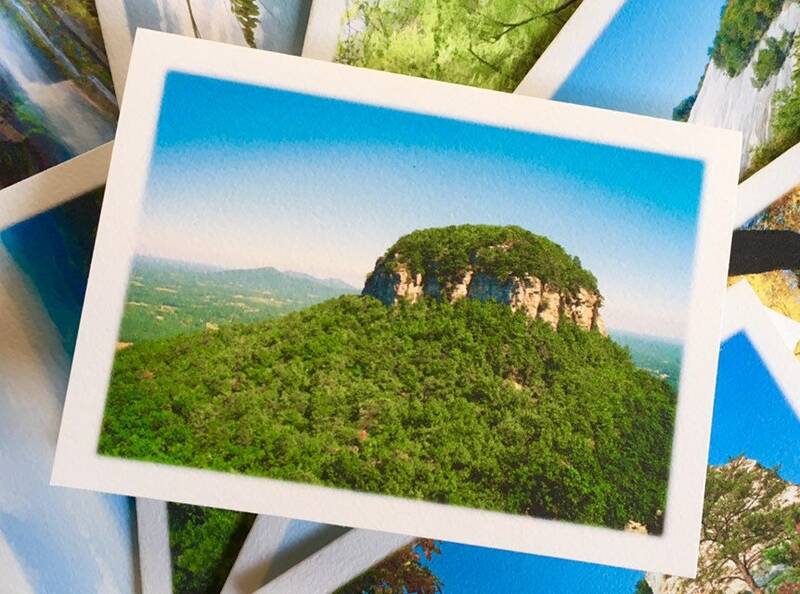 You're sure to recognize our state's beloved landmarks in this collection. 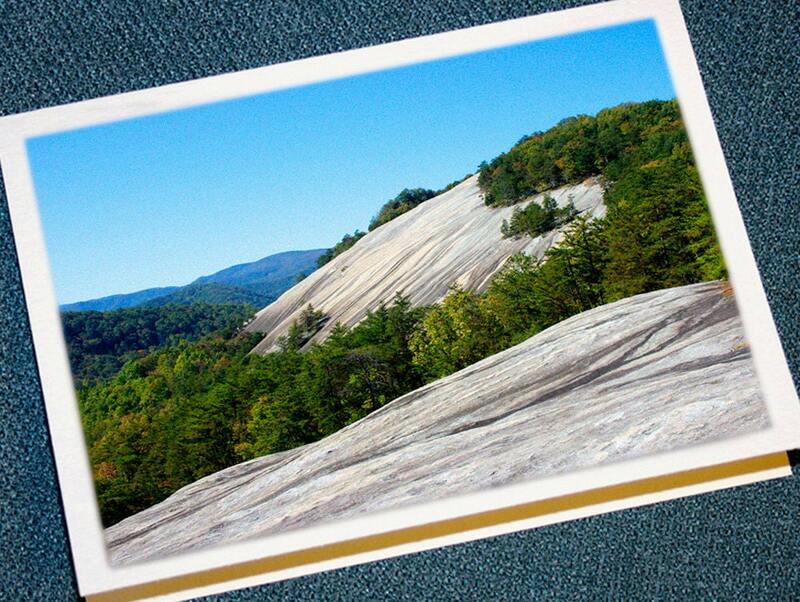 Join us in celebrating the natural beauty of the Tar Heel State! 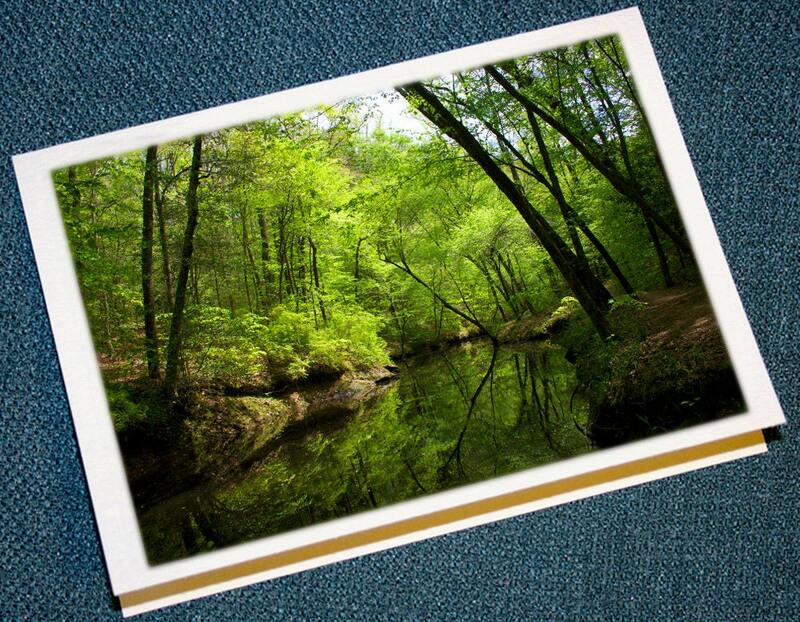 Photos are printed on lightly textured watercolor paper, and hand-folded and cut. 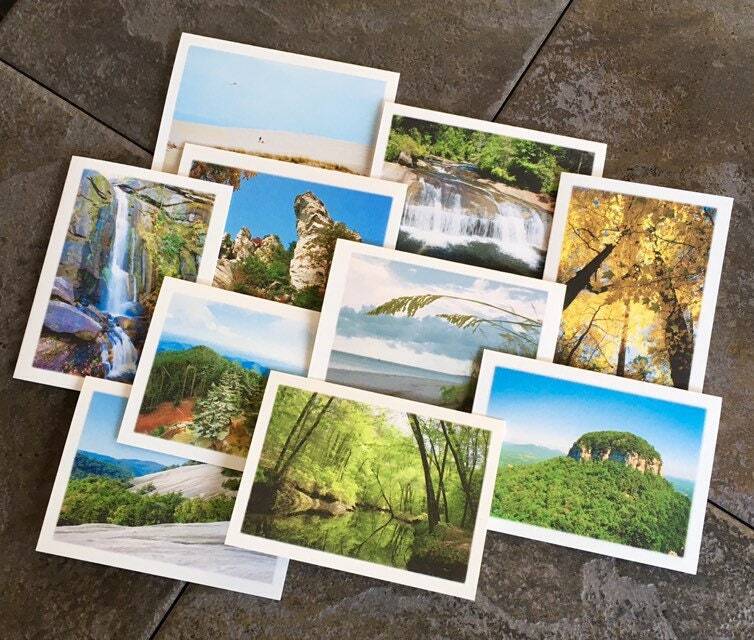 One of each photo and ten natural white envelopes are included in set. 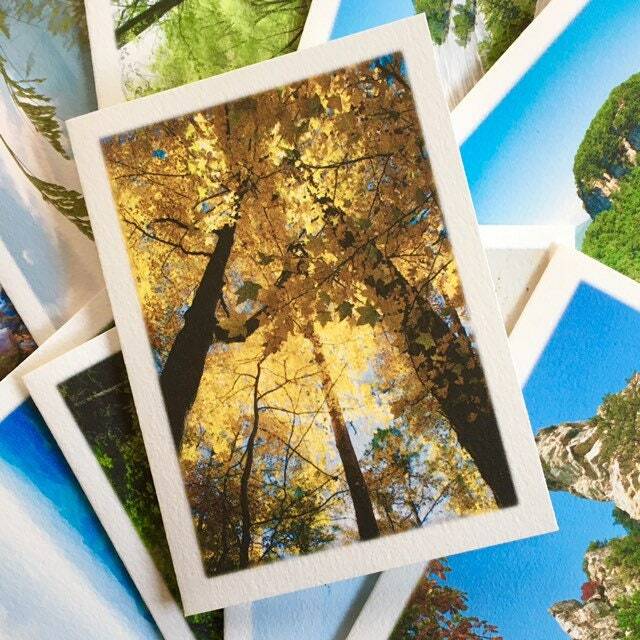 Cards measure 5.5 x 4" (A2 stationery size).